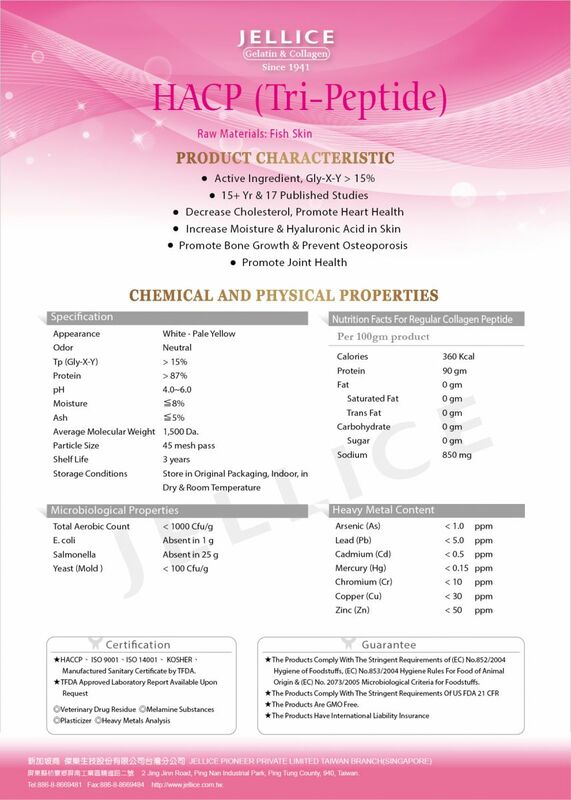 JELLICE HACP is manufactured by unique enzymatic hydrolyzation of gelatin (Patented). 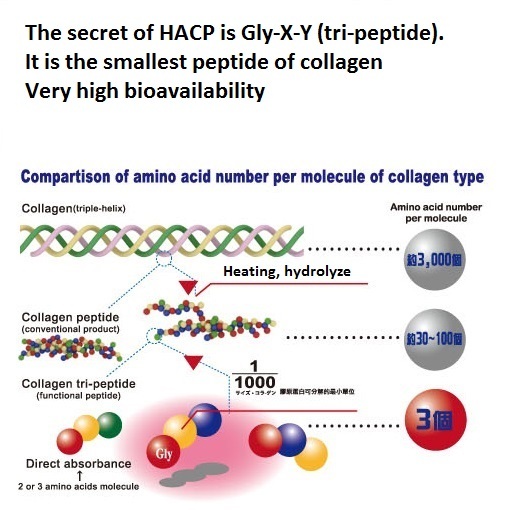 The molecular weight of active ingredient Gly-X-Y is only 1/1000 of regular collagen (~300kDa), and has superior bioavailability. It can be tested in the blood.It promotes growth of Osteoblast/Osteoclast, synthesis of collagen in bones, activate skin and joint-care. 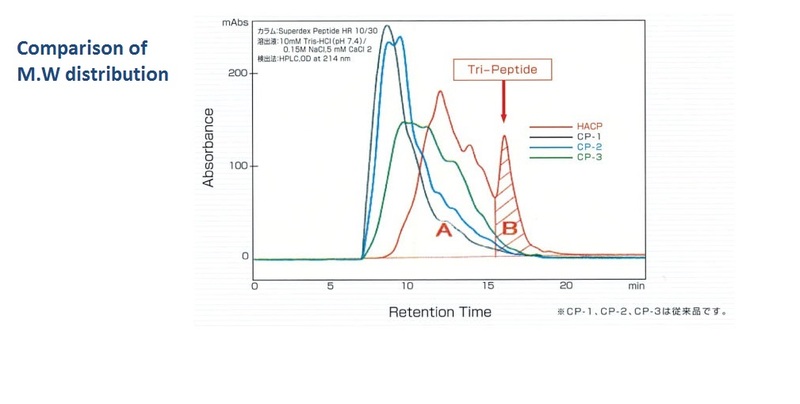 molecular weight of Gly-X-Y is only 1/1000 of regular collagen (~300kDa). 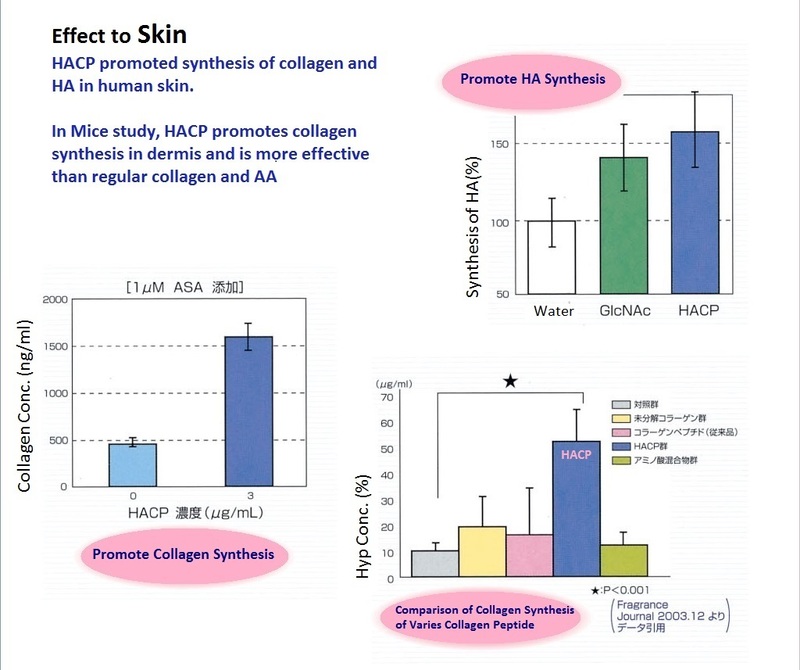 Proven in study, the active ingredient of HACP "Gly-X-Y"